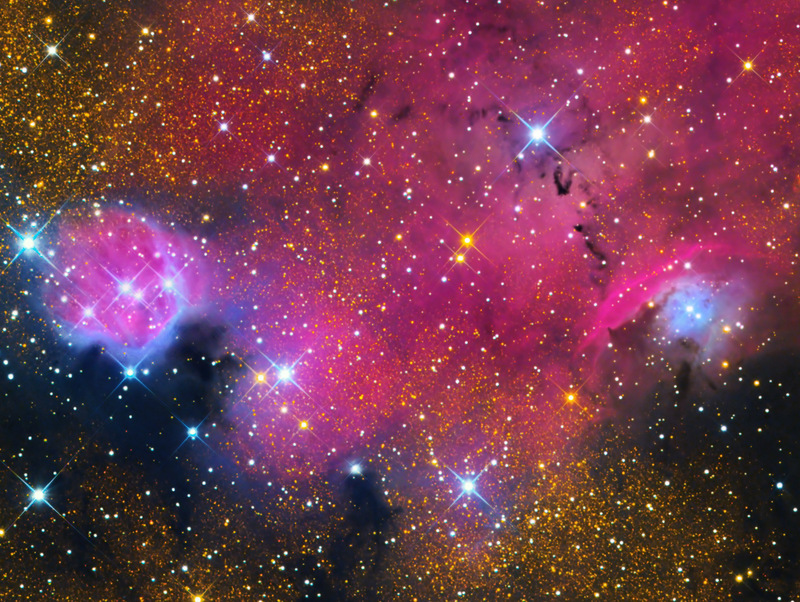 This image contains several objects catalogued in the NGC and IC catalogues. IC 1274 is the bright, circular nebula at the top center of the image. Just below is the fainter circular nebula IC 1275. Between the two is situated a wide dark nebula Barnard 91. 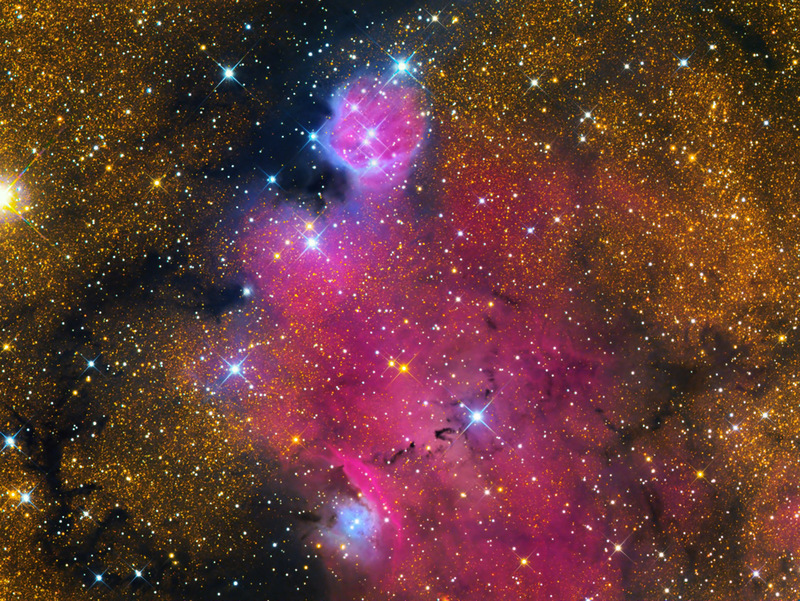 At the bottom centre is a bright filament known as NGC 6559. The thin dark lane to its upper right is Barnard 303. The nebulosity around Barnard 303 is IC 4685. Finally, just above center along the left margin of the image is a portion of open cluster NGC 6546. This complex in Sagittarius lies about slightly more than one degree of its much more famous neighbor, the Lagoon Nebula. In fact, some studies show that it is physically related to M8.